The stats on tornadoes so far this year are horrifying. A record-breaking 482 people (and ABC News reports 1,500 are unaccounted for in Joplin, Missouri) have been confirmed killed as of 24 May. 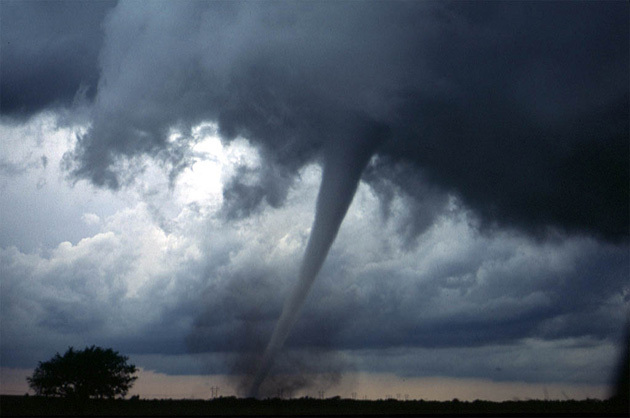 We know that spring’s a bad season for tornadoes. We know that La Niña years fuel stormy Aprils. But 2011 is redefining even those parameters. 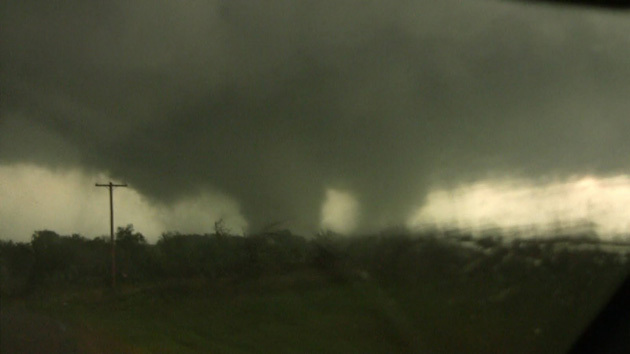 April 2011 set anew record with a total of 875 tornadoes. 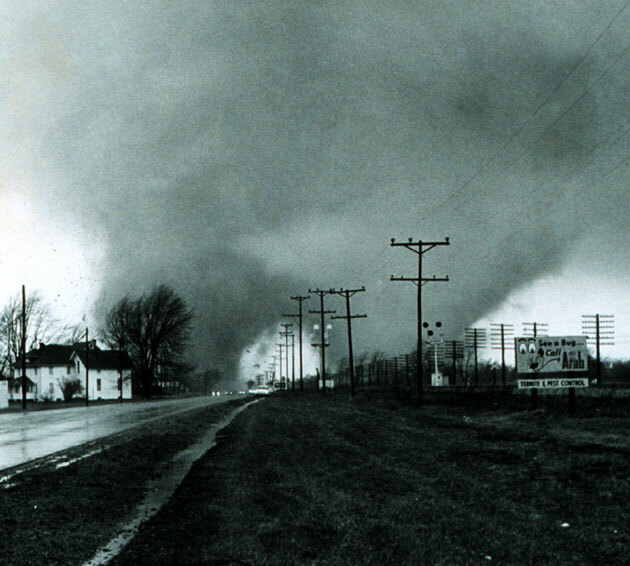 The previous April record was set in 1974 with 267 tornadoes. The average number of tornadoes for the month of April during the past decade was 161. The previous record number of tornadoes duringany month was 542 tornadoes set in May 2003. 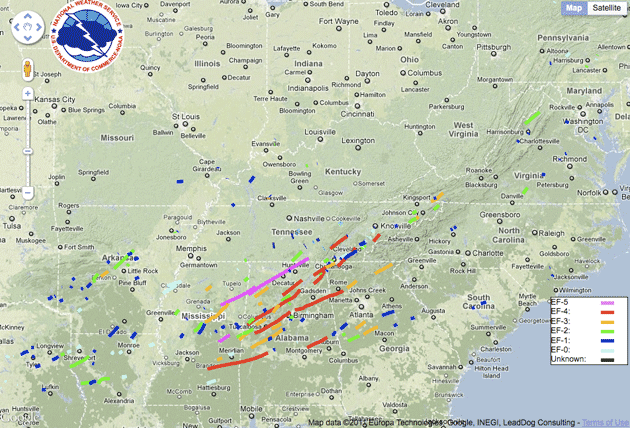 NWS [National Weather Service] records indicate 321 people were killed during the April 25-28 tornado outbreak. NWS records indicate 361 people were killed during the entire month of April 2011. The temperature in Laredo reached 111 degrees the day prior to the peak [April] outbreak, the hottest on record at that location for so early in the season. Precipitation extremes have been extreme even by extreme precipitation standards, with April rainfall upwards of 20″ in Arkansas and record levels on some rivers in the central US, juxtaposed with an exceptionally large amount of Texas being classified in extreme or exceptional drought. The National Weather Service’s preliminary estimate is more than 100 tornadoes have occurred during the month of May 2011. 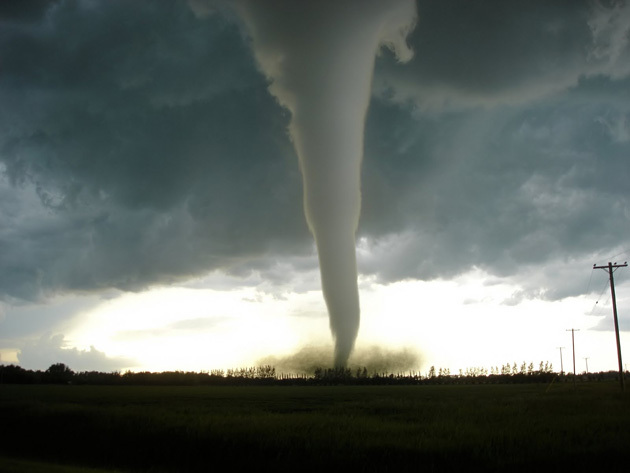 The record number of tornadoes during the month of May was 542 tornadoes set in May 2003. The average number of tornadoes for the month of May during the past decade is 298. May is historically the most active month for tornadoes. As I write, reports are rolling in about a new round of tornadoes—and deaths—in Oklahoma. Sunday’s horrific twister at Joplin, Missouri, was likely a multiple vortex tornado, says Thomas Schwein, deputy director of the National Weather Service’s Central Region, reports the Kansas City Star. A violent high-end EF-4* [Enhanced Fujita Scale] tornado [initial assessment] with winds of 190-198 mph carved a 7-mile long, 3/4 to one mile-wide path of near-total destruction through Joplin beginning at 5:41pm CDT Sunday evening. 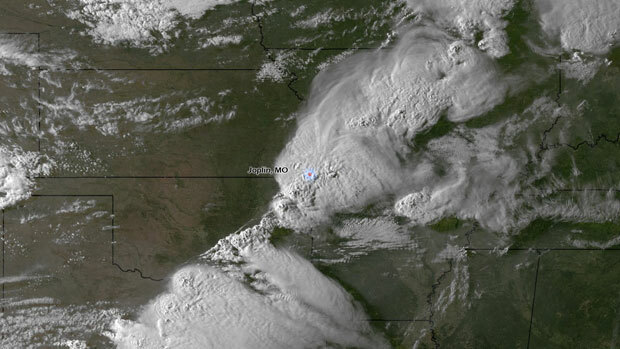 *UPDATE: After surveying the Joplin tornado track, the NWS announced that its winds exceeded 200 miles per hour. This makes it the fourth EF-5 tornado this year, according to WonderBlog—and the most costly ever. Initial estimates: $1-3 billion. You can get a sense of what that monster was like from this video—which due to darkness is mostly only audio. It’s honestly one of the scariest things I’ve ever listened to. You can hear the tornado rolling in about 01:20 into the video (perhaps the first of the multiple vortices? ), then really winding up at 01:59. But that’s nothing. At 03:00 all hell breaks lose. An F5 tornado. Justin Hobson/Wikimedia. His blog does a great job of explaining those in detail. And then there are sea surface temperatures. 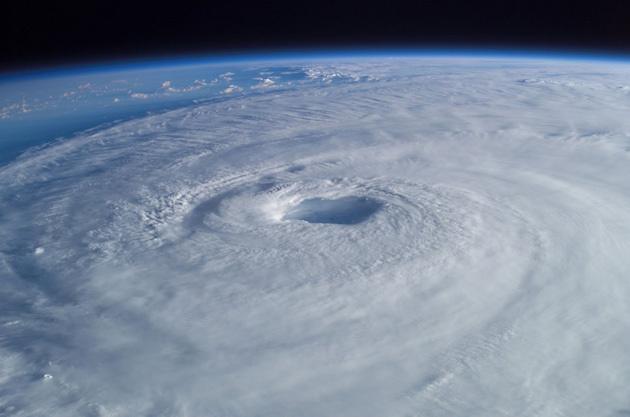 Unusually warm surface waters in the Gulf of Mexico—about 2 degrees Fahrenheit/3.6 degrees Celsius warmer than normal—may be a factor in this season’s tornado frequency and strength, according to National Weather Service director Jack Hayes. Add that to an uncommonly southward jet stream track, reports Scientific American, and you’ve got a recipe for the kinds of disasters we’ve been seeing so far this year. Warmer sea surface temperatures are also one of three reasons NOAA is forecasting a 65 percent chance of an above normal season—characterized as 13 or more named storms, 7 or more hurricanes, and 3 or more major hurricanes—in the Atlantic this year.